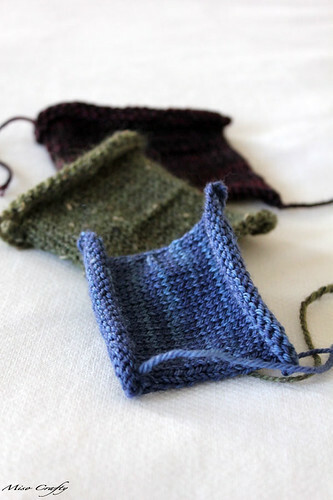 Miso Crafty Knits: And We're Off! Hi all! Sorry that this is so short and kinda short notice too. But the family and I are taking off to the Okanagan for the weekend for Brett's mom's 60th birthday slash retirement party. It's going to be a very short and sweet trip, a nice few days away from the every day normal living routine. I know a lot of people prefer to get to their destination as fast as possible, but I have to admit that I don't mind the travel time (granted that I'm not bogged down with a lot of luggage!). I actually look forward to the drive. Sometimes I even look forward to the ferry ride! That is, if I'm traveling solo and can sit and relax and knit the entire time. Yes, you better believe that I'm bringing some knitting with me too. A lot of it. Brett thinks I'm getting carried away but I'm always worried that I will run out of yarn and won't have anything to do but twirl my thumbs. I'm bringing with me, not one, not two, but four projects with me. I highly doubt I'll get anything finished while I'm away, cause aside from the car ride to and from, I really won't have much time to knit otherwise. The three swatches that you see above are three of the projects that I'm hoping to start and will be bringing with me. Yes peoples. I have knit swatches. I have swatched. And I'm keeping them. Maybe I really do need to get a getaway! See you next week!! happy trails to you, Brett and the little one!